Gaming is a more interactive medium than reading a book, listening to music or watching a movie, so theoretically gamers play a role in their chosen form of entertainment. But can the roles they play — or the ways they play those roles — exert enough influence to create a list of the 10 Most Influential Gamers of All Time? In my years at Kotaku I wanted to again highlight the importance of gamers to the experience of gaming. I was and am fixated on the idea that gamers are more than a passive audience and more—even—than an audience that is only given the illusion of interactive influence. If gaming is truly interactive, gamers ought to be able to have an impact. 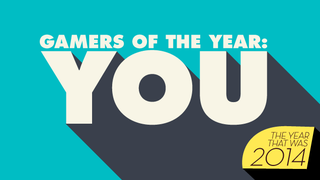 And so, in 2012 and 2013, we highlighted our Gamers of the Year—a hacker, an advocate, some inspiring over-achieving gamers and a cultural critic or two, among others. This year calls for something different, in part because of what so many of us went through in the summer and fall—the events of Gamergate and the awfulness that surrounded it, making it hard to talk about gamers without addressing it—and for some other very good reasons as well. Let’s start with the good reasons. Happy news: It’s tougher to make a list of influential gamers because it is no longer a rare thing for a gamer to be a notable figure in the gaming scene. The act of playing a game has become public once more, not through a resurgence of 80s-style arcades but by extensive digital networking that has turned gaming into a popular spectator activity. Most gamers still probably don’t know the names—let alone the voices or faces—of the people who make the games they enjoy, but they’re increasingly aware of the identity of top players. I’m not just talking about top eSports players, though they’re ever rising in prominence, too. I’m talking about gamers who have the wit and the skill to play in an entertaining or informative way that others want to witness. I’m talking about the uplifting PewDiePie, who welcomes millions to watch him howl at games on YouTube. There are so many others, all showing games, warts and all, to eager audiences. I’m talking gamers such as Totalbiscuit whose “WTF is...” videos on YouTube have made him a defining tastemaker for hundreds of thousands of fellow PC gamers. A half decade ago, I recall a top gaming PR person with whom I got a drink laughing off the idea that gamers should be able to capture and share footage of any game they played. Today, go shop for a game on an Xbox One and, in addition to watching a trailer or reading some publisher-written catalogue copy, you can watch a gamer playing the game live. Turn on a PS4 or load up Twitch in a web browser and you’ll find scores of gamers drawing the attention of thousands more to watch them play. This gamer seems to always be playing StarCraft. This guy’s got Heroes of the Storm covered. You can find gamers who draw crowds for just about any popular game. The world of eSports is flourishing yet again, and spreading out to engage communities of players around games as disparate as Smash Bros., League of Legends, StarCraft and Street Fighter. Pick your top pro players. They, too, are some of the gamers of the year. The elephant in the room is Gamergate, of course, and what an unwieldy elephant it’s been, try as I have to understand its many parts and sides. In a culture already grappling with years of harassment against outspoken women and threats against developers, it became a new source of frustration thanks, in part, to the wilful misinterpretations and cackling callousness that emerged from so many of the movement’s more cynical actors and the opportunists around them. The culture wars took root in gaming, and with it a new ugliness of rhetoric. It’s no secret that members of Gamergate targeted this site, calling for the firing of writers and the defunding of our company all the while propagating the fiction, ignorant of Kotaku’s past and present, that we were somehow anti-gamer. But at year’s end, after a season of negativity, what we have, I think, is an opportunity to celebrate what gamers have been and can be at their best. It is a subtler influence, but an important one to defining the scene. Call it a dodge, but I call it optimism; the gamer glass is far more than half-full. Go to a PAX or walk into a GameStop and you’ll see it yourself, as I have: gamers of all types, eager to share their insights and enthusiasm for games. Go online or to a fighting game tournament and you’ll find camaraderie. Head to a school where games are taught and you’ll see a new generation that speaks this language we love. So here’s to those people. Here’s to you. Here’s to the men and women, boys and girls who have played an online shooter to have fun and never felt the need to spout a slur. Here’s to the people who read a game review and never had the reflex to harass the review’s author, nor the developer of the game nor their fellow gamers who liked or hated it. You don’t make the headlines, but you make gaming more wonderful. Here’s to the gamers who mentor and support, to those who play with a smile, who rally their Destiny fireteam through a raid or who huddle for warmth during a midnight launch. Here’s to the gamers doing extraordinary things in the games they play. Here’s to the YouTubers whose videos help me discern if a game is any good and especially the ones who’ve become my go-to source for tips, the ones who help me out of a jam. Here’s to the gamer last spring who liked some message I scrawled in Dark Souls II at just the right moment so that I got a health boost when fighting a tough enemy. Here’s to all the gamers who help gaming improve, who treat each male and female gamers and game creators with dignity, who disagree without trying to ruin each other, who love the art and respect the people, who strive to make the gaming scene better every day, whether they call themselves gamers or not. Here’s to the gamers I think we all want to be.